I have absolutely no idea of how many miles I may have run in 2014. 583 miles? 2,781 miles? Your guess is truly as good as mine. I didn’t keep track of the number of miles I ran this year (or any year if we are being honest) because my 2014 training and racing season was done with no rhyme or reason, other than to focus on enjoying what I love to do. 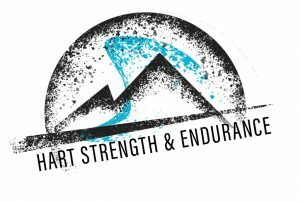 And this year, that love surrounded trail running and obstacle racing. Despite the lack of training for anything in particular, we were fortunate to race quite a lot this year. So as a fun end of the year post, I present you with the “best and worst of 2014” awards, nominated and voted for by me. Because I’m the one who writes these posts around here. 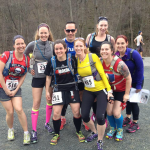 HARDEST RACE: 7 Sisters Trail Race, Holyoke MA. For the second year in a row, the 7 Sisters mountain range chewed me up and spit me out. I lived to tell the tale, though barely. MOST FUN/BIGGEST SURPRISE: The Great Northeast Tough Mudder, Westbrook, Maine. For years I had ranted and raved about how I bled Spartan Race blood, and I would never do a Tough Mudder, blah blah blah. But then Geoff and I reluctantly attended the New England Tough Mudder at Mount Snow, Vermont, and really enjoyed ourselves. So we headed up to Maine a few months later to give it another shot, and had a downright BLAST. I’ve said it before, but I’ll say it again: I’m sorry I ever doubted you Tough Mudder. WHY DID I SIGN UP FOR THIS? GORUCK Light – Mogadishu Mile – Portland, Maine. I don’t remember much other than shivering uncontrollably and willing myself not to cry (what I do remember is outlined in the review) Mentally, this may have been one of the hardest events I’ve ever undertaken. As soon as we finished, I swore up and down that I would never, ever do a GORUCK event again. But that moment passed, and I do look forward to trying a GORUCK again in the future…during the warm summer months this time. 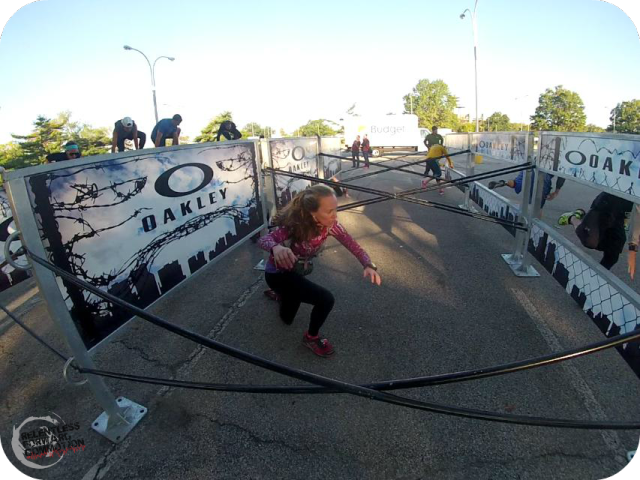 I thought I was a decent obstacle racer. 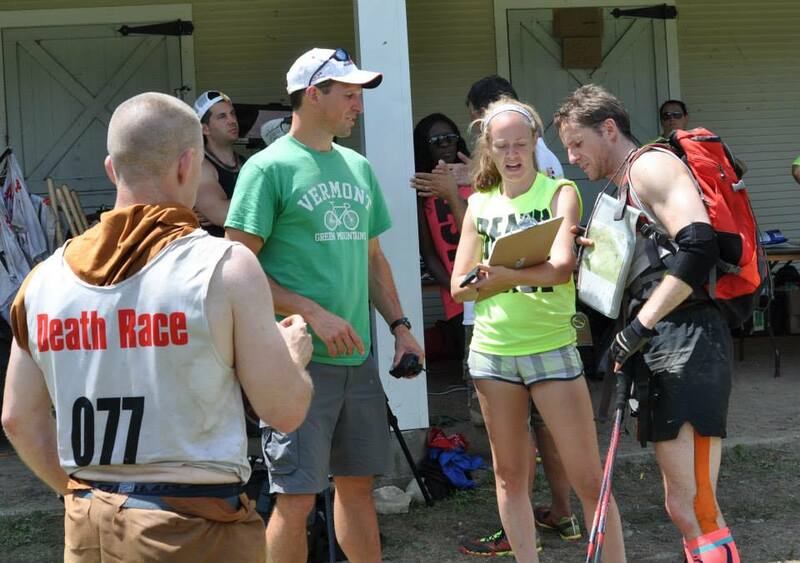 And then I finally visited Rob Butler’s permanent OCR course in Benson VT, and was quickly shamed (by myself) over my lack of, well, everything OCR skills. 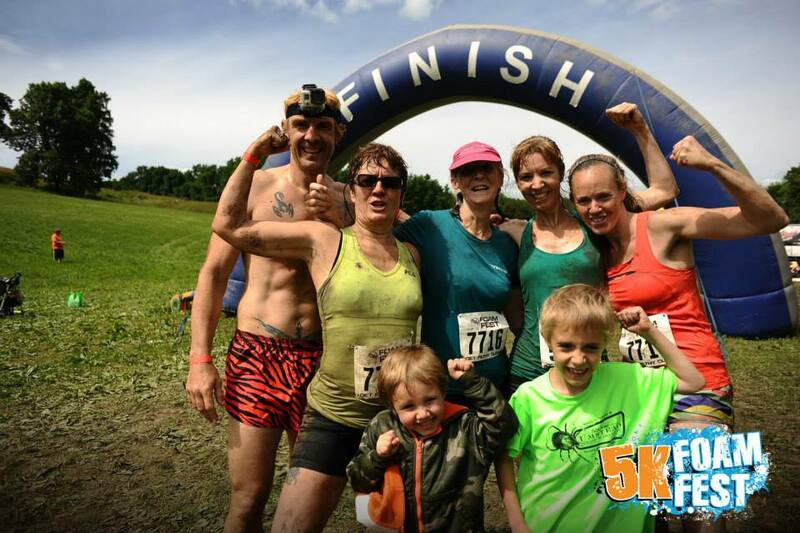 You haven’t SEEN obstacle racing until you tackle Shale Hill’s 100+ feet of tarzan swings, or the painfully long UPHILL monkey bars. Humble pie. I have a lot of work to do. The good: quality time with family. The bad: EVERYTHING else. It was no surprise that just days after our event, the entire 5K Foam Fest series was canceled and the company declared bankruptcy. I still secretly wish I got a medal before they called it quits, though. I always have something to say, but it is rare that anyone outside of my inner circle listens. During an amazing weekend at the inaugural Runner’s World Heartbreak Hill Half Marathon Festival, I got sick, and walked the half marathon instead of running. 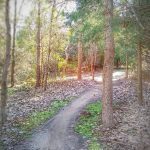 I hung with the very, very back of the pack, and I didn’t love what I saw. So I wrote about it. Tens of thousands of page views and hundreds of comments in just a few hours later, I surprisingly got people to listen. I just hope that now the dust has settled, people still remember how passionately they reacted, and that the story truly inspired change. The very first race of a new series can go one of two ways: success or failure. 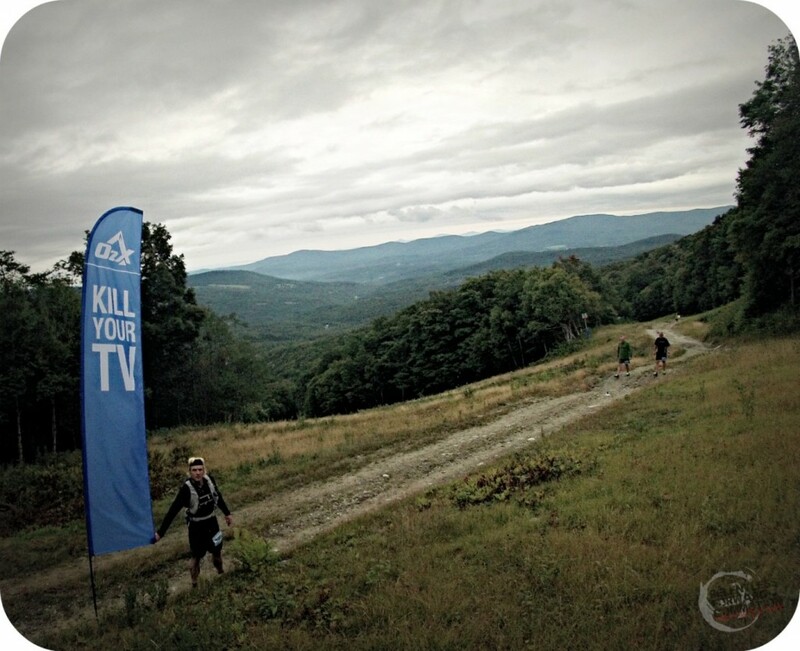 In my opinion, the O2X Summit Challenge at Sugarbush Mountain here in Vermont went a third way: perfection. From a fantastic dinner the night before the race, to a bonfire with the founders, camping on the side of a ski slope, to amazing race shwag. AND MOST IMPORTANTLY: an amazing race course. (read the recap!) Life prevented us from attending a second O2X challenge this fall, but I will most certainly be adding them to my 2015 lineup. The irony of the “Death Race” getting the “Rest in Peace” award, aye? I’ll never forget the friends I made nor the ridiculous stories that came out my three years working the Death Race. Though never a racer myself, the Death Race will always hold an important place in my heart. I’m truly sad over the way things panned out, but I look forward to new adventures in the future. SODALITAS PERDVRANTIVM. After putting this race off for two years in a row, the third time was the charm, and we made it into NYC for the Men’s Health Urbanathlon. 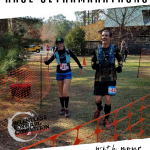 While the “obstacle” portions of this race were exactly what I expected, the copious amounts of road running were a surprise. Yet my legs welcomed the surprise, and I shocked myself by running hard AND having fun. I was reminded that despite my love for trails and mud, the pavement will always hold a small piece of my heart as my first love. and sledding to the finish line during Mass Mayhem. Sledding! 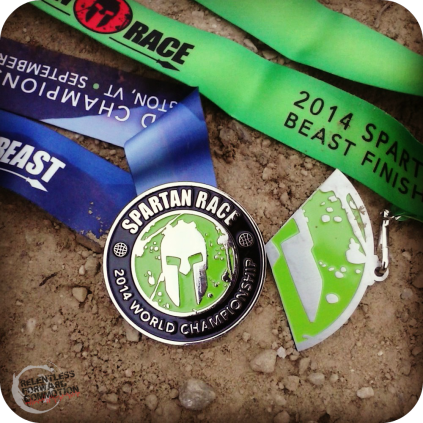 Though not necessarily my favorite race of the year, it was the culmination of a Spartan trifecta and a brutal course. BIGGEST CAREER MOVE or POSSIBLE MISTAKE? Telling Bart Yasso for the second time that I’m out to take his job. Travel, run, and write. My dream job! And here’s hoping in 2015 there will be plenty more travel, racing, and writing about it. Thank you for all of your support in 2014 and for joining along for the ride! What was your best/worst/most obscure race moment of 2014? What do you have planned for 2015? I loved your back of the pack post, BTW….I got to spectate at a half this spring when I was sidelined with a foot fracture. I placed myself and my cowbell at the starting line and cheered the waves when they ran through. It was so interesting to see the differences between the front runners and the back of the packers. I was glad to get that perspective, too! 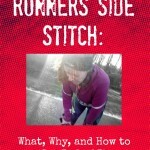 I always enjoy reading about your running adventures. 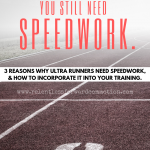 RWFestival will always be one of my most memorable running events as a blogger and runner! 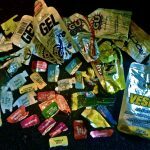 That’s funny- I read your back of the pack article earlier this year and was so moved by it I shared it with my running group who came to read it and it sparked a very good discussion. Because we are told to never be last we had no idea this is what it was like for someone finishing up the race before the official sweepers. It made me more conscientous when I ran and supported friends at the BRF this year. YES that post stretched far and wide. I found it on BlogHer. 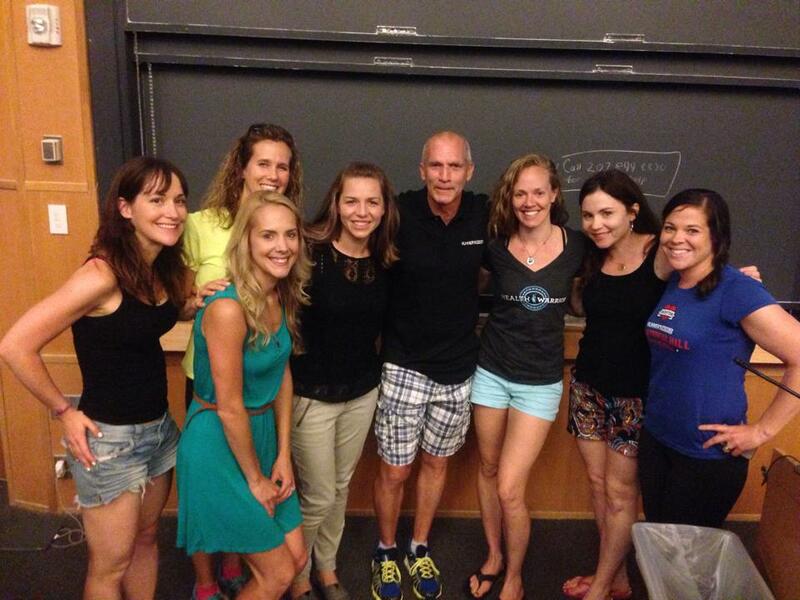 You did some seriously bad asses races this year! You rock girl! You have had so many incredible race adventures this year even though some of them were race fails. I would love to check out the O2X summit challenge for sure. 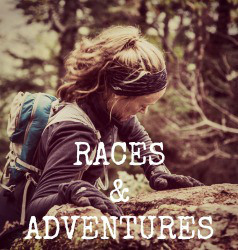 You are one adventurous tough woman! Go for those big goals in 2015. Can’t wait to see where the commotion leads you! I think you would love O2X Sandra! You should do one in 2015! I am in awe of all that you have done this year. What an amazing ride! Thank you for so vibrantly taking us along for the fun. I am looking forward to reading what you come up with next year! OMG!!! I love how different our running is!!! You are such a warrior spirit and I look at your photos with total awe because that would terrify me! What an adventurous year but I got to say, I don’t think I could go without logging my miles! Good for you. The funny thing is I am going to try hard to actually track them this year. I don’t do it out of lack of caring, it’s more that I just forget, haha! Wow, so many great crazy races! A tough mudder looks so fun….and scary! They are only scary if you are afraid of heights, the dark, small spaces, fire, barbed wire…but seriously, they are fun. You should do one! Wow, you have participated in some amazing races!!!! I love Bart!!! He has the best job ever, good luck on stealing it! You’ve got to try one Kerri! They are so fun! You SHOULD do one! 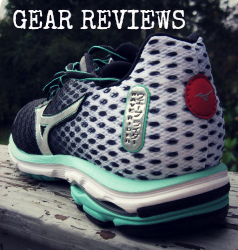 They are so much fun, and they truly test overall fitness rather than just running endurance! 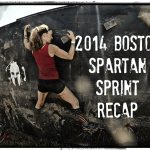 I love this year wrap up – you are making me want to delve into obstacle racing more and more. I’ve done a few “baby ones” and really want to do a bigger one but I’m worried it will interfere with my big triathlon goals. So maybe, just maybe later in 2015 your blog will sway me!!! What an amazing year of racing you had! 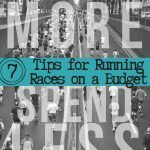 Forget the mileage totals, racing experience is much more important. Congrats on a fantastic year! I wish you more of the same amazingness in 2015, cheers!